Many of the older performance cars we work on are now showing deteriation in both the engine and vehicle looms. In the case of Ford Cosworth powered cars, most original engine looms are at the end of their lives, along with the fan and fuel pump wiring. 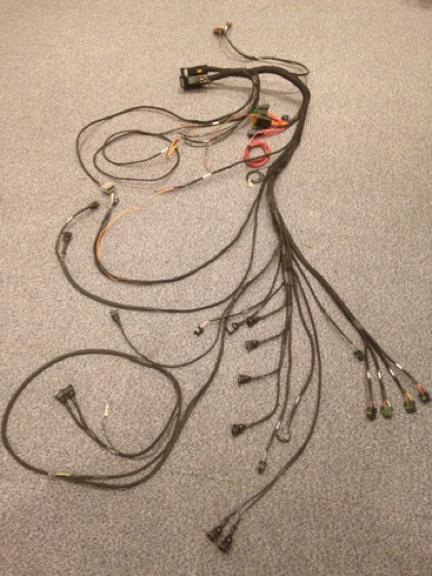 Whilst there are many DIY repair looms available for these cars, none install to give a factory look, so we offer a custom re-wiring service. We can manufacture a wiring loom with all parts of the loom suited to your application, often grouping relays together for a neat factory look. To make the installation of aftermarket ECU’s more simple, we manufacture our own range of engine looms for installing Omex and AEM ecu’s. These can also be made to your custom requirments and we can add many options into the looms to include things like 12 position boost control, traction and launch control and control or many anciliary components such as diff coolers, electric water pumps and water injection to name a few. All our looms and manufactured in house on peg boards suitable for your vehicle. 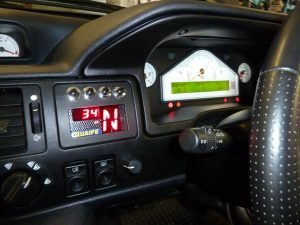 We have also installed many custom dashes in various different vehicles. For those with vehicles equipped without a CAN network (i.e. older ecu’s) we recommend using a Stack 8130 dash. 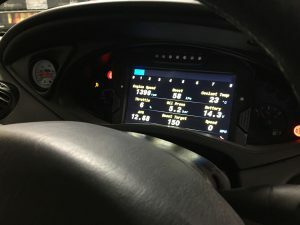 For those with a more modern ecu and on our own AEM Infinity equipped cars we highly recommend the AEM CD-7 dash, fully configurable to show any data your ecu has! We even offer a custom service from one of our software engineers who will custom design you any dashboard layout you can imagine. Think of the CD-7 dash as a blank canvas with any display possible!